← We Were Warned in 1963: Has Communist Ideology Overtaken America? The following is the full text of the Second Amendment open letter/petition which was signed by 1100+ Green Berets. So why should non-gun owners, a majority of Americans, care about maintaining the 2nd Amendment right for citizens to bear arms of any kind? The answer is “The Battle of Athens, TN”. The Cantrell family had controlled the economy and politics of McMinn County, Tennessee since the 1930s. Paul Cantrell had been Sheriff from 1936 -1940 and in 1942 was elected to the State Senate. His chief deputy, Paul Mansfield, was subsequently elected to two terms as Sheriff. In 1946 returning WWII veterans put up a popular candidate for Sheriff. On August 1 Sheriff Mansfield and 200 “deputies” stormed the post office polling place to take control of the ballot boxes wounding an objecting observer in the process. The veterans bearing military style weapons, laid siege to the Sheriff’s office demanding return of the ballot boxes for public counting of the votes as prescribed in Tennessee law. After exchange of gun fire and blowing open the locked doors, the veterans secured the ballot boxes thereby protecting the integrity of the election. And this is precisely why all Americans should be concerned about protecting all of our right to keep and bear arms as guaranteed by the Second Amendment! Dean Garrison is a husband and father of six, who faithfully pursues the American Dream. He has been MOSTLY self-employed for the last 20+ years and has been a top earner, executive and leader for several direct sales companies. This entry was posted in Uncategorized and tagged Assault rifle, Columbine High School massacre, Dunblane massacre, Federal Assault Weapons Ban, Kevin D. Williamson, Second Amendment to the United States Constitution, Special Forces, United States Constitution. Bookmark the permalink. THIS IS WHY I LOVE MY COUNTRY! I HAD TEARS READING THIS AND I PRAY IT DOESN’T COME TO HAVING TO DEFEND OUR CONSTITUTION. It’s overwhelming. This letter to me finally gave opponents a reason to shut up. You can argue with guys like Dean Garrison. You can, at least to a certain extent, argue with a local sheriff who is admittedly a conservative. But when a Marine talks, people listen. Even liberals have pretty well shut up about this letter. There are no finer examples of leadership in this country than the men and women of our armed forces. The people in D.C. are so far from this type of honor that they fail to understand it at all. Quite a compelling gesture and the underlying message couldn’t be clearer. Could you expect anything less from the best. I hate to ask it but are we sure this comes from where it claims? I haven’t vetted it out myself. Anyone? I have no doubt. You can bet your life, that it didn’t come from anyone in the current washington political administrations. Amen Jim. Thank you for your service to our country. No one can ever tell you that enough. We are forever in your debt. Thank you for printing the complete letter! Chad had a link to the letter in one of his articles and I first read it and have been following and responding to the comments on Stolen Valor’s site. I’m very glad you are giving this wonderful letter more exposure. The man who put this letter together was trying to find only 100 current and former soldiers to sign it, instead the response was 1100!!! I and so many others are so grateful to these soldiers for what they have done, and continue to do, for our country. Thank you!! Lord Jesus, I thank you for all the men and women that agree with this letter. I pray protection over them and their entire family. I pray for mighty blessings over all that agree with this letter…I pray all this in Jesus’ name. Amen…God Bless you dean, your family and all the friends that support this letter.. I am proud of these men for taking a stand against home grown oppression in the form of Obama and the liberals when few others will. They are a rare breed and continue to prove it to us daily. Thanks for your comments Tira. I completely agree. Please consider the advent of the SSRI class of drugs, which were introduced to the world in the late 1980s. Go to http://www.ssristories.com and you’ll find reasons much stronger than violent video games as a component of mass killings. At the bottom of the first page there’s an index, check it out. Good information Marty. I don’t recall his name at present but there is a famous author who wrote about this back in the early 90s and ended up dying in a shoot out with the feds over “tax evasion” charges. I’m thinking that tax evaders don’t normally fire upon the feds but you never know. I know a lot of people thought it was a way to silence him. I can’t believe I am not recalling his name right now but he was also a very prominent UFO researcher. UFOs are not my thing by the way. I never say never but I am more interested in other things like the drugs you mention. I am going now to spend some time reading it. Thanks a million. The enemies of mankind are on the run. They know that their psychopathic rule is near it’s end and they are doing everything they can do to hang on to the old paradigm. A new consciousness is arising in the people of the world. A desire for freedom. A desire to be left alone and have a world with out rulers. One with rules, but no rulers. The rules are simple…DO UNTO OTHERS AS YOU WOULD HAVE THEM DO UNTO YOU. End of problem. Paradise on earth. The right of humanity to defend itself against psychopathic aggressors must be extended to all. The right to keep and bear arms is a natural right that transcends ALL governments and ALL races. PEACE comes from being armed. An armed society is a polite society. Thank you! If the powers that be, who are frightening the masses and creating mass hysteria, will pay heed, the answer lies herein! My fear comes from those powers that be and their inepititude at dealing with and listening to reason. Never did I dream that I would actually be afraid in my own country. I salute my green beanied Brothers for contributing this balanced and reasonable consideration to the “gun control” debate. It addresses civil rights in an even handed manner and makes much more sense than the emotionally passionate and unconstitutional demands from the Left, or Communist, side of our current governement. Semper Fidelis! I gained a LOT of respect for the Benies in ‘Nam. Words cannot express how much. We had an attachment of Benies working out of 8th RRFS at PhuBai, ’71-2. This is a fantastic letter. I only wish it is required reading for all polititians and their staffs. Although I am not a SF Soldier, (I have 32 years of service and currently deployed.,) I could not agree more. I will uphold my oath to defend the constitution against all enemies foriegn or domestic. I commend these Soldiers for making this stand and pray it will make a difference. As a feloow veteran, I salute you all. This is one of the best reads I have had in a wile. You truely represent all of us that love our country and will die to protect the Constitution that she was created with. As a fellow…………in a while. I should you spell check! Thanks Dean! And a thank you to all the other vets/reserve/active duty that have responded. I remember when I took my oath of service many things, but the thing I remember most is that there is NO expiration date on it. It’s still as valid now as it was then. For the Green Beanies out there. You guys are some tough hombres. I’ve know a few, and they have ALL been stand up citizens. Jarheads: It doesn’t even need to be said. Your rep proceeds you. And rightfully so. Swabbies: I’ve visited a few of the iron boxes you live and work in. You’re all braver men than I Gunga Din! Fellow Wing Nuts: Keep it real! We KNOW our duty as well as everyone else does. Slacking is an excuse, and we don’t accept them! All of my brothers and sisters in arms: This is OUR country too. Keep the faith folks. We know the value of service, and unlike those who try to force others to do as they will, we are there to ensure that THEY do what We The People will. When a government threatens the use of force on it’s own citizens (ie: Obama asking military leaders if they would order troops to fire on U.S. citizens) it becomes no longer a legal government, but a tyrannical force bent on the destruction of the people’s will. Freedom isn’t free. WE, above all, know this. And in the end, it will be US who will have to lead from the front, just as we have since the beginning. Prayers for all that it doesn’t come to it, but I think it’s a small hope. Too all of you have served and sincere thanks. there was just an article on Drudge this am siting 22 suicides a day right now amongst our warriors. Keep reaching out as I know you all are. Anyone here familiar with or ever hear of the Green Beret James Bo Grites? I have his book “Called to Serve” kicking around here somewhere. I trained and served with a unit under the Silent Professionals. I was attached to them for my 2 tours in Afghanistan. I am a civilian now, live 20 min from Sandy Hook, grew up with that teacher Victoria Soto who was killed there. 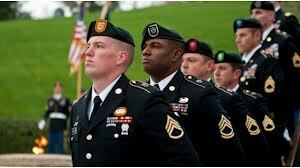 Most of my life lessons came from day to day conversations with the Green Berets of 3rdSFG. In Afghanistan and back in garrison, i would pick their brains. Most of these men are very intelligent. I will never disobey the ” Silent Professional” way of life and speak on everything. However, i will put forward that times are changing in our country. People need to understand this. These men along with many others are on the right line of thought. My only hope is that we do continue to have our right to have Arms, every state militia has been sent to the Terrorist Watch List. Our constitution is not being used correctly. I love my Country, Countrymen and women. Legalize the constitution is my thought process on this. America has been at war, the rest of the country has been watching American Idol and online shopping. I make that statement not to offend, but more to really put that into heads of the people of this nation. I do not expect us to have huge rationing of metals and food like with the World Wars, but i will ask that people educated themselves more then our country is educating us. History repeats its self all over this world. We are by no means perfect, but we do have the means to help others. I’m not telling people to become gun enthusiast or anything, but do not allow them to take my right to gun ownership. I have stood in the desert twice with the men who signed this petition. Willing to give up my life for any child,man,women in my country and the country of Afghanistan, all in the name of freeing the oppressed. I write this comment only as a plea to my fellow countrymen. Ask questions, question the nature of the government and wonder the reasons. If there is smoke there is fire. Simple saying most of us have known for years. If we allow our governing bodies to take away and tie our hands with anti-gun legislation, we have allowed everything our forefathers died for to be all in vein. Let us realize that we the people, put the government in power. We the people are who the government serves. Im not saying to rise up and cause ruckus, i am saying that there was a time that the government feared us. We put these people in power, no longer can we easily ask our government to change. As a retired Marine I stand with these soldiers to support and defend the Constitution as I once swore to my country and keep in my heart. OOOrah!